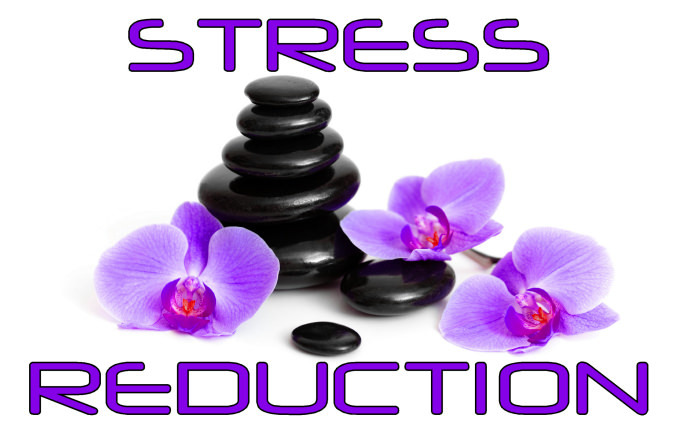 When we first think of what stress reduction is about, we often think of ways to calm the emotions and the mind. Go get a relaxing massage, take a nap, meditate, work out, get into nature, enjoy a glass of wine, indulge in intimacy and read a good book are good ways to evoke stress reduction. It is now well known that our emotions are powerfully linked to our biology. Here are more concepts about common causes of stress. What causes stress can be complicated. Biological stress has been categorized into 3 types which are positive, tolerable and toxic stress. If you want to dig in deep and learn more, check this leading edge article out on Stress, Epigenetic Interactions and the Brain-Body Communication. What is less known is that there are hidden signals and vibrations in our surrounding environments that are also generating considerable stress within our biology and all life in general. All forms of pollution, GMO foods, poorly tested or regulated products, dysfunctional social and business paradigms, imbalance with nature, environmental destruction and so on, all contribute to biological stress. From Quantum Physics related fields such as Quantum Biology, we now know that there is a “quantum field” of information called the “Information Field” or the “field.” This is particularly true with WATER and, measured by the number of molecules, we are 99% WATER! Coherent quantum domains around water molecule clusters house and store water memory from the field. So now, it is realized that the WATER memory of healthy water is extremely important to our biological health as well. Even when drinking chemically pure water, we’ve still been drinking informationally polluted water that can affect the body just as much. I’ll bet you did not know that! Today’s rampant technological explosion brings with it unseen, energetic and informational signals that cause significant stress to biology. No matter where you go, you are literally immersed within man made ELECTROMAGNETIC POLLUTION signals of all kinds. These EM fields are increasing daily. And your diet and health regimes will do little to protect you from them; offering virtually no stress reduction benefits against such hidden threats. 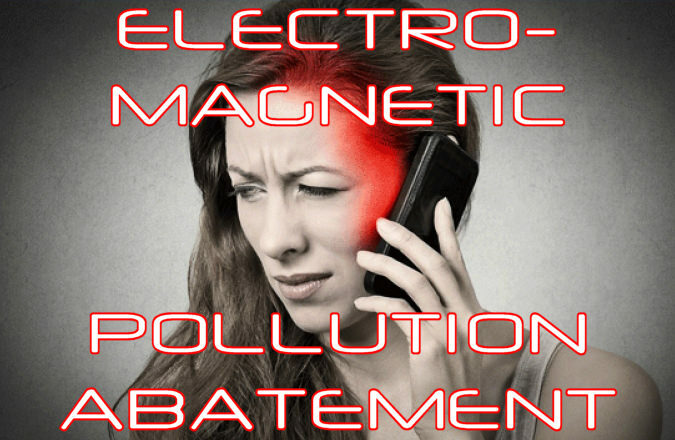 Short of the placebo effect in belief, your best efforts to live healthy will not mount a strong defense against hidden electromagnetic pollution. Nor can you expect big business or government to protect you from EM pollution anytime soon when there are billions of dollars at stake. Meanwhile, current and available medical models refuse to acknowledge what’s been proven about EM pollution for decades. Rest assured that burgeoning biological fields of science the likes of Epigenetics, Signal Transduction and Quantum Biology, provide plenty of proof that the threat of EM pollution is very real and significant. Unfortunately, big business interests are not focused upon your health needs. This video animation attempts to demonstrate what Magnetic fields might look like if you could see them. Electromagnetic fields would be similar. You are immersed in many energetic fields this very moment that DO have an affect upon your biology. Fields produced by natural sources tend to be more friendly to human physiology since we evolved and adapted within them. Man made fields can cause significant stress and disruption to our normal biological processes. And this is just one reason why stress reduction technology is so important to have in our modern environment. Your biology and the rest of nature is directly linked to, depends upon and has evolved within a beneficial and natural source of electromagnetic energy. This energy is an extremely subtle, constant and weather related Earth pulse called SCHUMANN RESONANCE. Schumann EM pulses are consistently generated by the Earth’s electrical storms at about 80 lightening strikes per second globally. Schumann resonant signals can be millions of times weaker than man made EM pollution signals. Thus, Schumann signals and the nominal frequency of 7.83 cycles per second that our biology depends upon, are often blocked and overwhelmed by the man made EM pollution signals. The EM bio-fields of the body, brain states, bio-rhythms, emotions, energy levels, etc., are thrown out of balance and many health issues can ensue. Relatively new biological findings now reveal that our biology can be controlled by environmental signals; both energetic and informational. The study of signal flow through body cells is called Signal Transduction. The related field of Epigenetics exposed that the old idea of genes being “in control” were proven false. Gene’s don’t control anything. Rather, they are more like blueprints to be opened and read. It turns out out that the “brain” of the cell’s perception is the membrane and what “controls” the expression of genes are biological switches which get selected by …. signals from your bodies internal environment AND signals from the external environment. Each gene may have as many as 30,000 different expression “choices” based upon the signals that come in to activate the biological switches. Should This Knowledge be Important and Relevant to You? What’s important about all of this is that external environmental signals such as electromagnetic energy or even quantum level information signals can impact the expression outcome of your genes and control your biology. AS AN EXAMPLE – EM energy can easily turn Stem Cells into Leukemia. of EM pollution from electronics impact your life? Mankind is visiting states of hell upon itself. It is time to become aware. while organically tuning and balancing the body’s natural EM fields.